The Lower Eyre Pest Management Group held a weed swap at the 100th Yallunda Flat show on the 7th of October 2013. The purpose was to raise awareness of the impact that environmental weeds have on our natural environment. Many of these weeds have come from home gardens and spread into bushland. The weed swap provided an opportunity for people to bring along weeds for identification and in return, they were given a native plant. A total of 67 weeds were brought in for identification. Bridal creeper, clovers and thistles were amongst the most common weeds brought in to the stall. Throughout the day LEPMG members were also highlighting Rhamnus. This plant is a serious environmental weed around Yallunda Flat, and in many other areas of Lower Eyre Peninsula. Rhamnus is an evergreen shrub growing up to 5m high with serrated leaves and has red-purple berries from spring to summer. 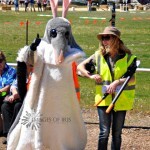 The LEPMG had a Weed-busting Bilby on hand to promote the stall to show goers. 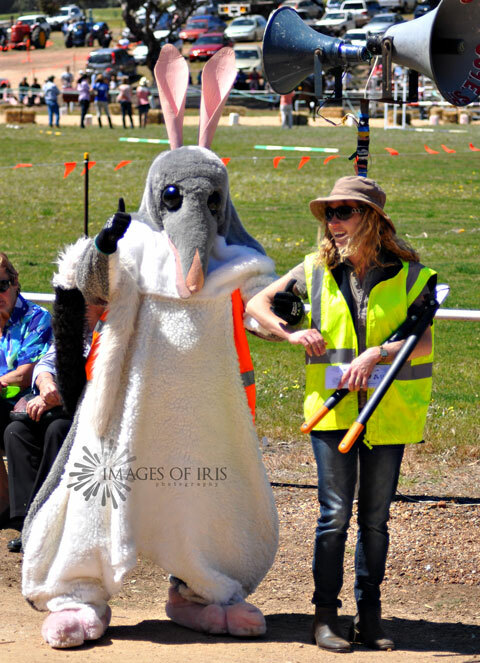 Visitors could enter the ‘Name the Bilby’ competition to win $50.00. The winning name was ‘Buster’, which fitted the theme of the day perfectly. The weed swap was considered a success with many visitors from all over Lower Eyre Peninsula, Whyalla, Adelaide & Victoria. Buster the Bilby says “keep an eye on those plants jumping the garden fence and keep on weed-busting”.